You are here: Home / News / Does Your AC System Need to be Repaired or Replaced? Does Your AC System Need to be Repaired or Replaced? When your air conditioner starts blowing warm air, making loud noises or costing way more than usual to operate, you may assume the best route is to repair it. However, depending on your situation, it may be more cost-effective to replace the unit with a new, high-efficiency model. 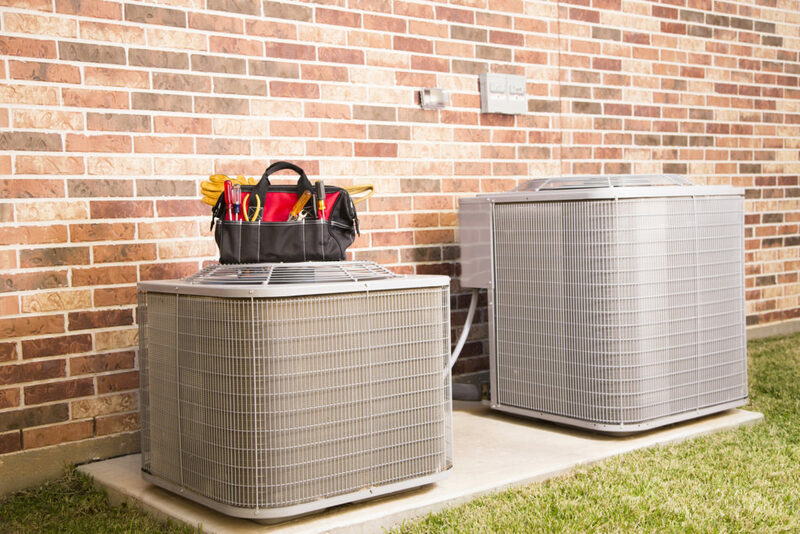 Here are some factors to help you decide whether you should repair or replace your AC system. Most air conditioners are designed for a lifespan of 10 to 15 or even 20 years. The problem with older equipment is that it’s often more expensive to repair, and once you do, you’re still stuck with a lower-efficiency unit. That’s why you should seriously consider replacing an AC unit that’s over 15 years old the next time it breaks down. If a major component fails, the cost to repair your air conditioner could be quite high. Multiply the repair quote you receive ($450, for example) by the age of your air conditioner (14 years, perhaps). If this figure ($6,300 in this case) is higher than the cost to install a new AC unit, the decision is clear: you should replace your air conditioner. If your current unit has trouble keeping up, replacing it could lead to significant energy savings and improved home comfort – even if the system is still in working order. Consider that upgrading a 10 SEER unit to an 18 SEER model can save you about 45 percent on your home cooling costs. Plus, because your aging air conditioner is no longer performing at its peak, the savings are likely to be even higher. Consider what repairs have already gone into your air conditioner. For instance, if the compressor was replaced recently, it could be worth paying for another repair to get more out of this expensive component. However, if you’ve been faced with repair after repair the past two or three summers, you may be ready to call it quits. Many older air conditioners run on R-22 refrigerant, also known as Freon. This ozone-depleting refrigerant has been phased out in favor of R-410A, a cleaner alternative. If your AC starts leaking Freon, the shortage of R-22 refrigerant could make the cost to fix and recharge it far more than it’s worth. If you plan on selling your house within a year or two, replacing your old AC unit first could attract potential buyers. Even if you’re staying put for the foreseeable future, it may be wise to invest in your future comfort by replacing rather than repairing your broken system. The best way to decide if you should repair or replace your air conditioner is to speak with a reputable heating and cooling technician. You’ll receive a fair service quote and expert advice regarding your replacement options. Contact CJS Heating and Air for more useful cooling tips or to schedule air conditioning services in Columbus, OH.